"GRANITE BASE TO BUILD YOUR HERD ON". Black Granite is a 6 frame curve bender whose calves are born easily, are jet black, and have mellow dispostions. 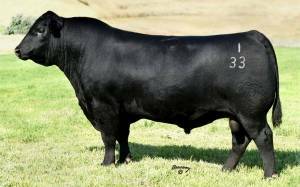 He was an $80,000 feature at Connealy’s 2012 Spring Bull Sale.